Below are pictures of Mark and Andrew between October 11th to 25th. 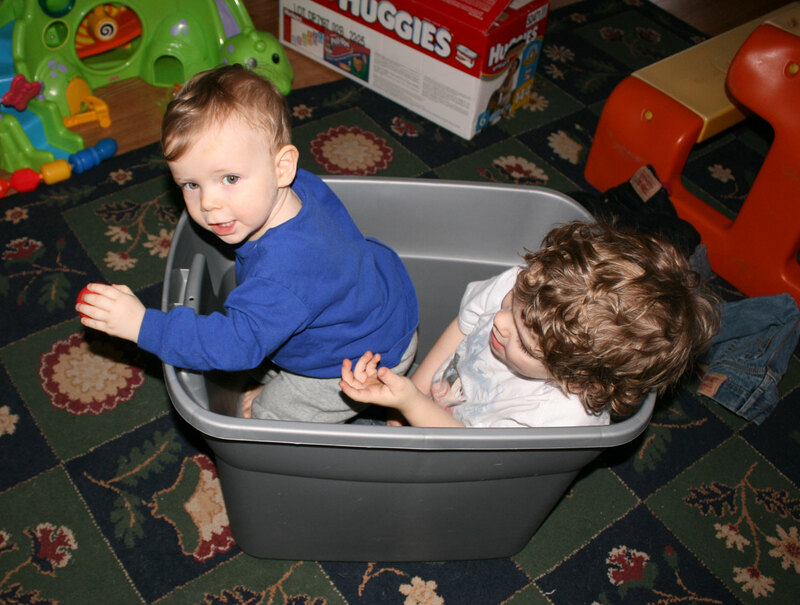 Andrew and Mark in grey storage bin in grey storage bin on October 11th. 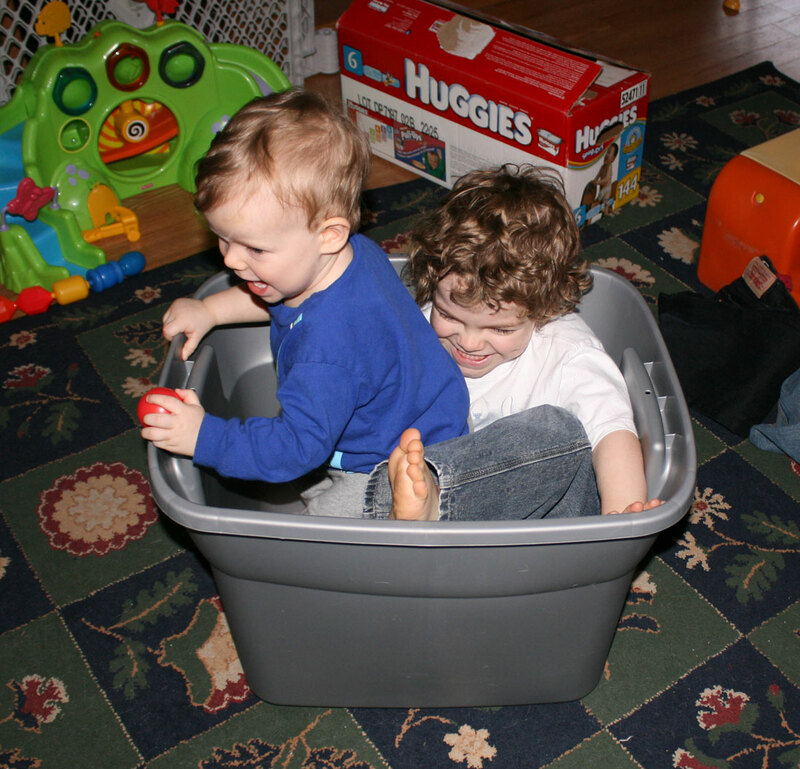 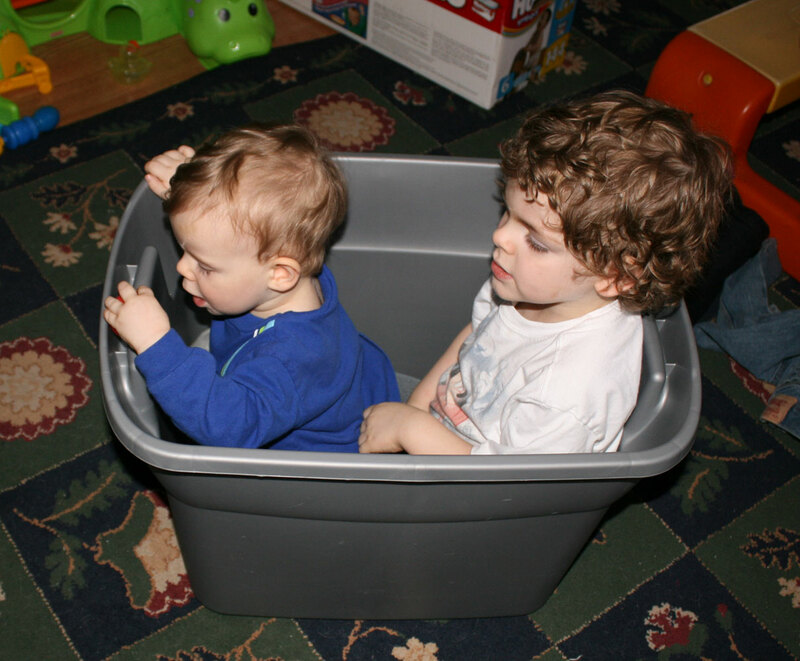 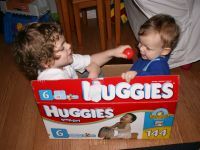 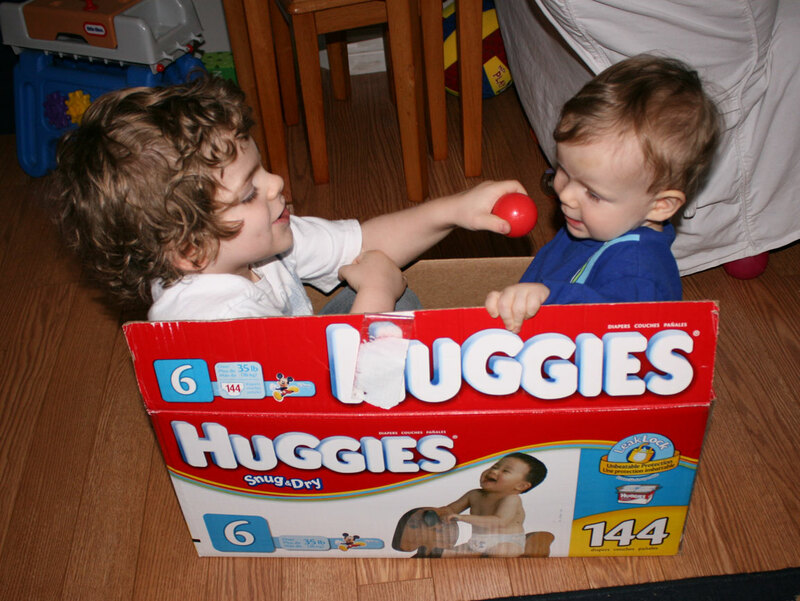 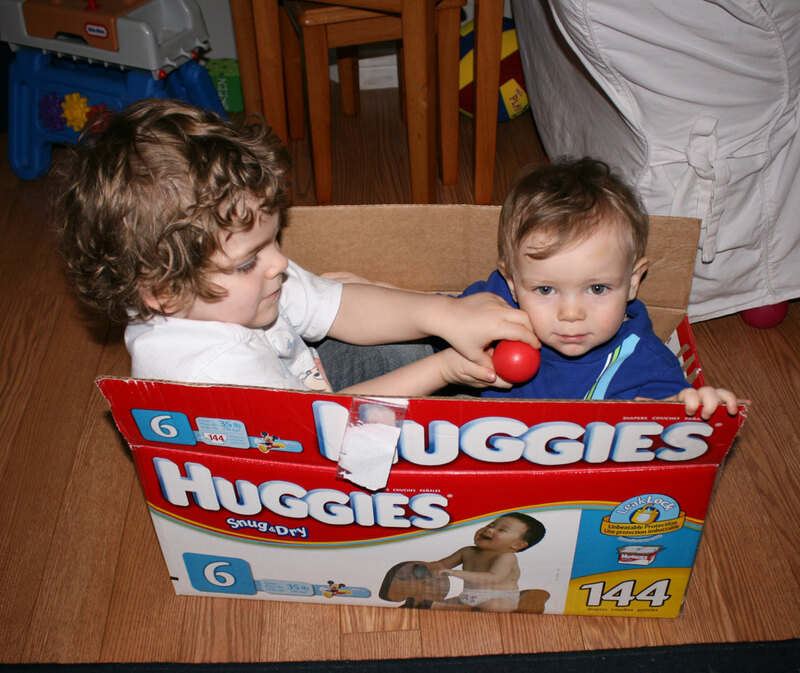 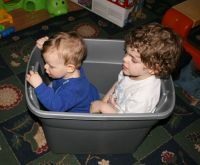 Andrew and Mark in Huggies diaper box on October 11th. 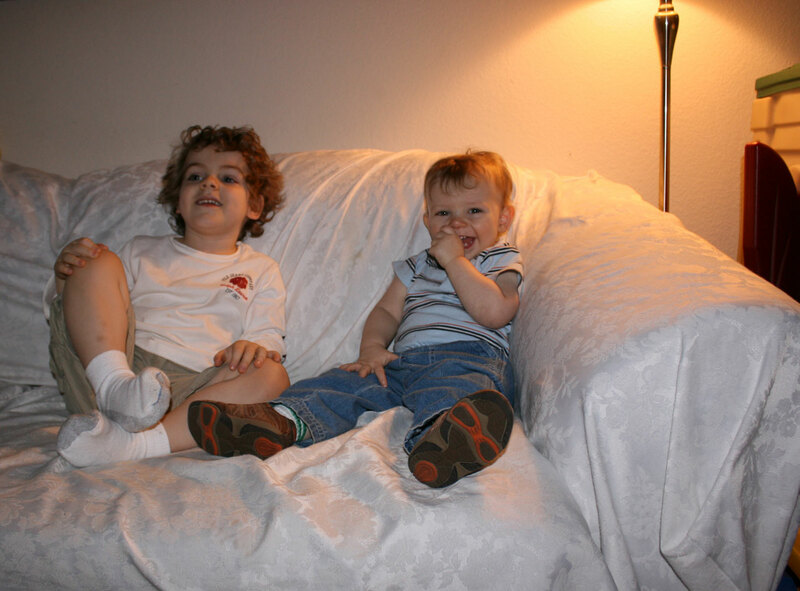 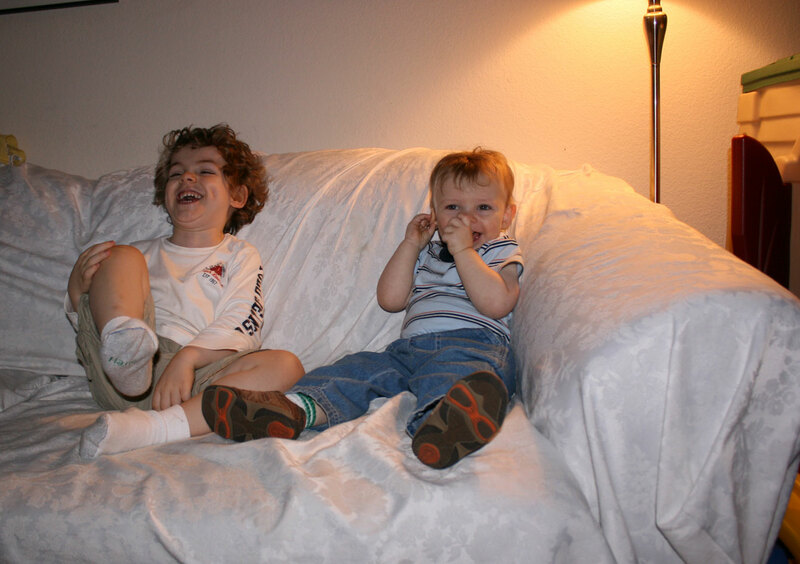 Mark and Andrew sitting and smiling on couch on October 13th. 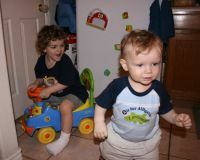 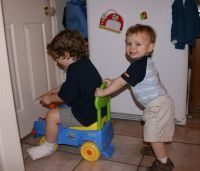 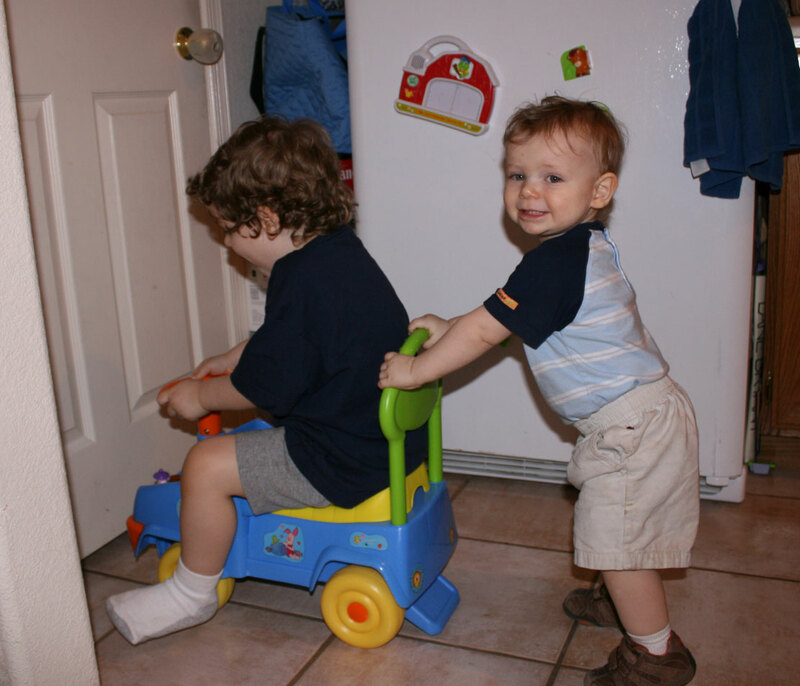 Mark and Andrew playing in the kitchen near the refridgerator with the Pooh car on October 15th. 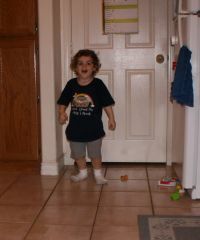 Mark standing by door in kitchen on October 15th. Mark standing in kitchen waiting for ball thrown by Daddy. 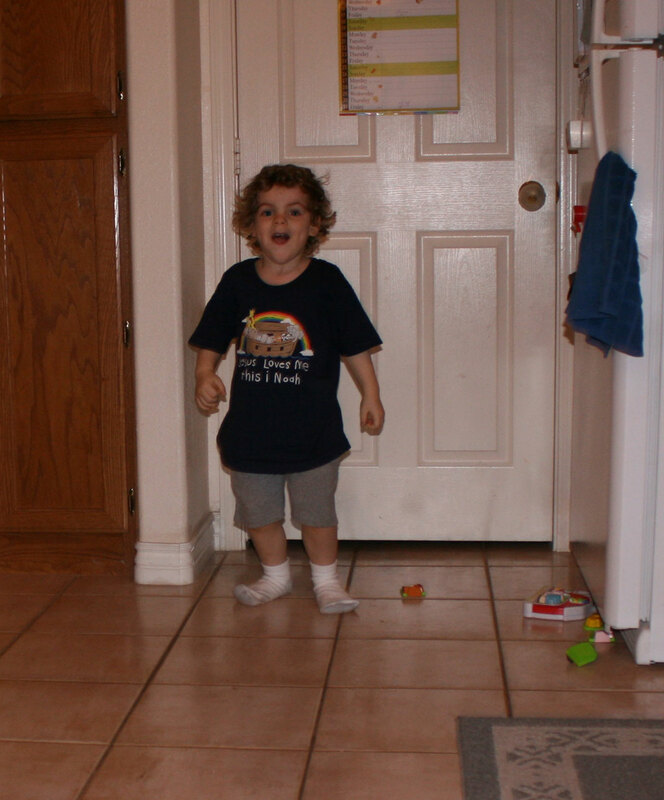 Mark standing by door in kitchen on October 15th. 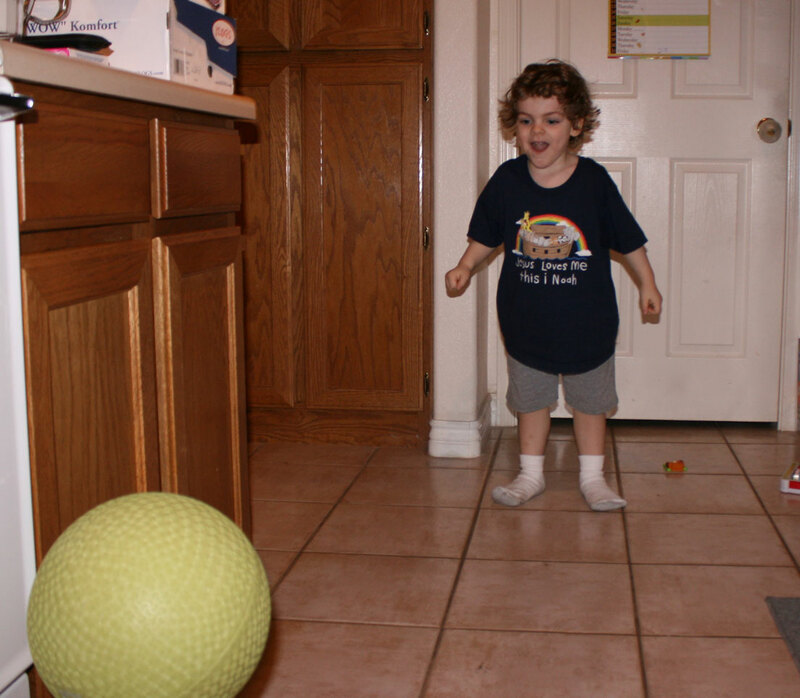 Mark standing in kitchen catching ball thrown by Daddy. 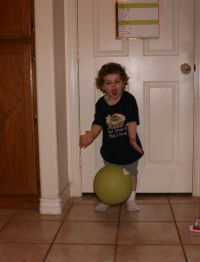 Mark standing in kitchen catching ball thrown by Daddy. 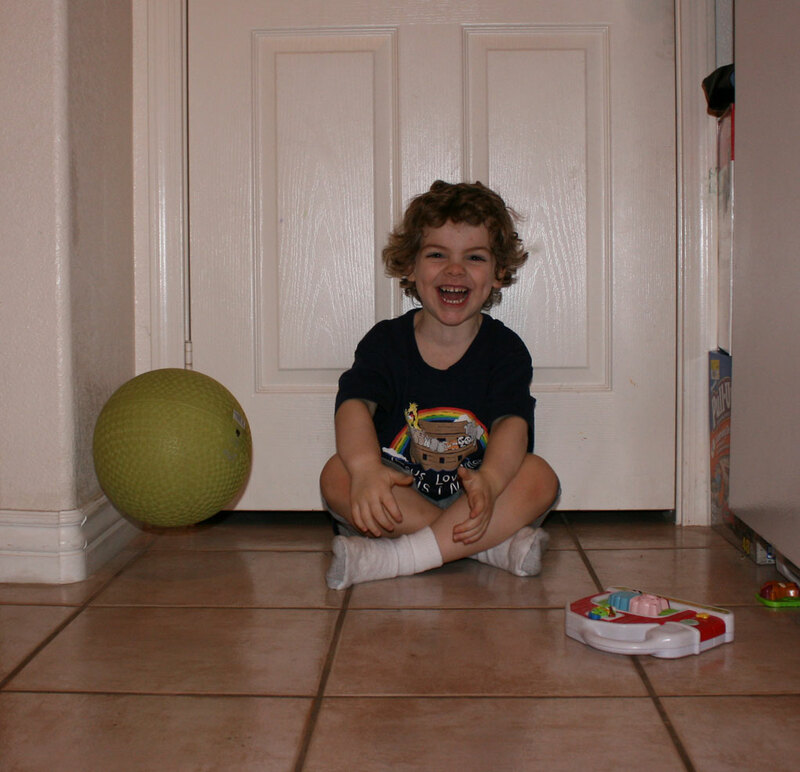 Mark sitting by door waiting for the green ball. 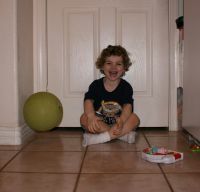 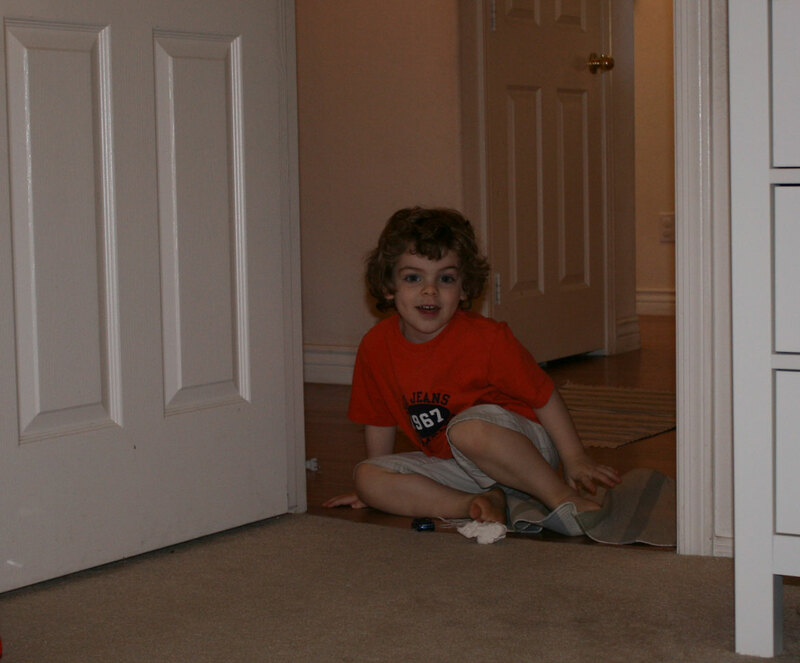 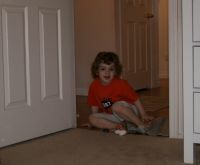 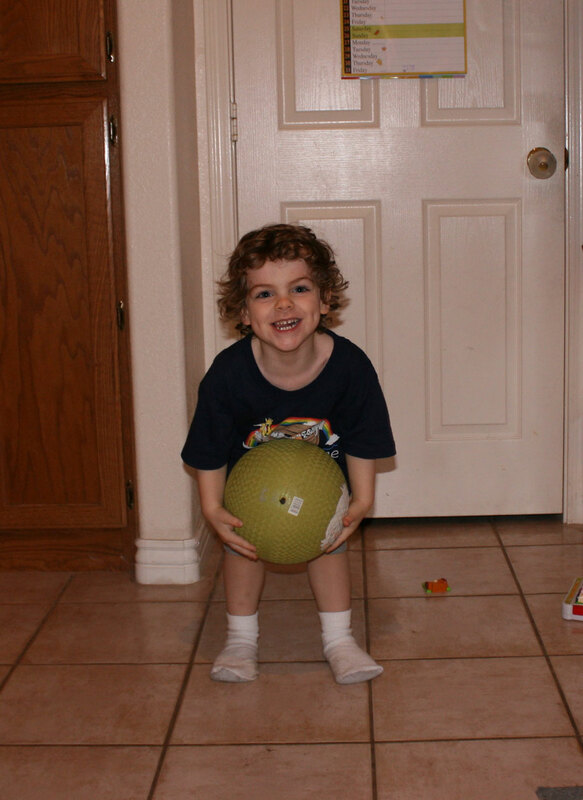 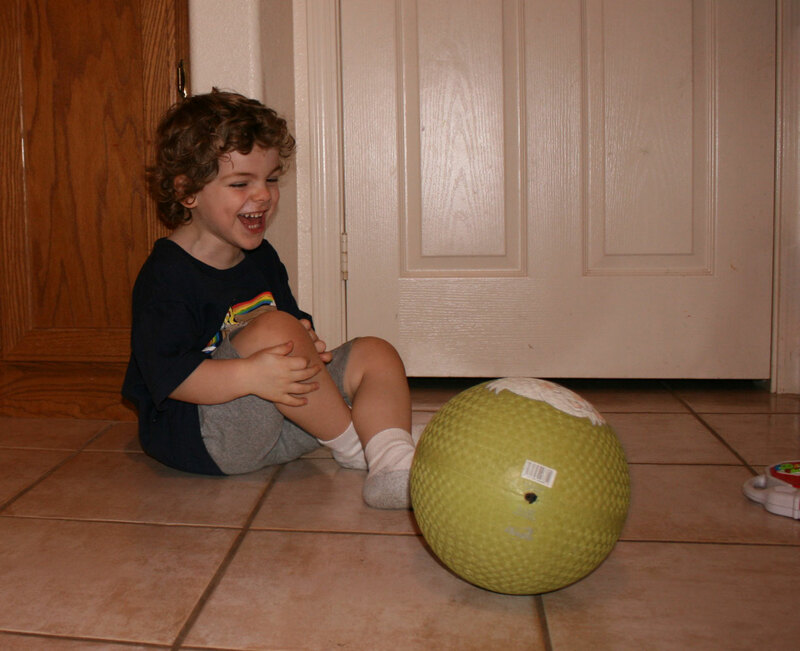 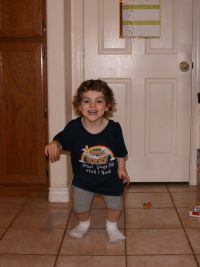 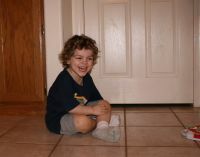 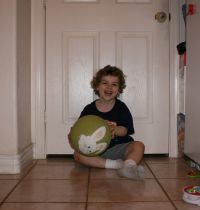 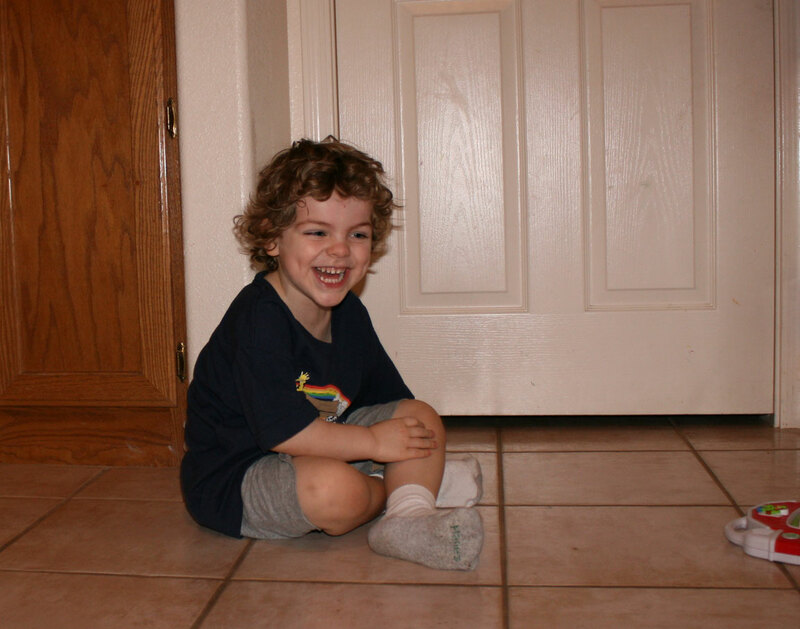 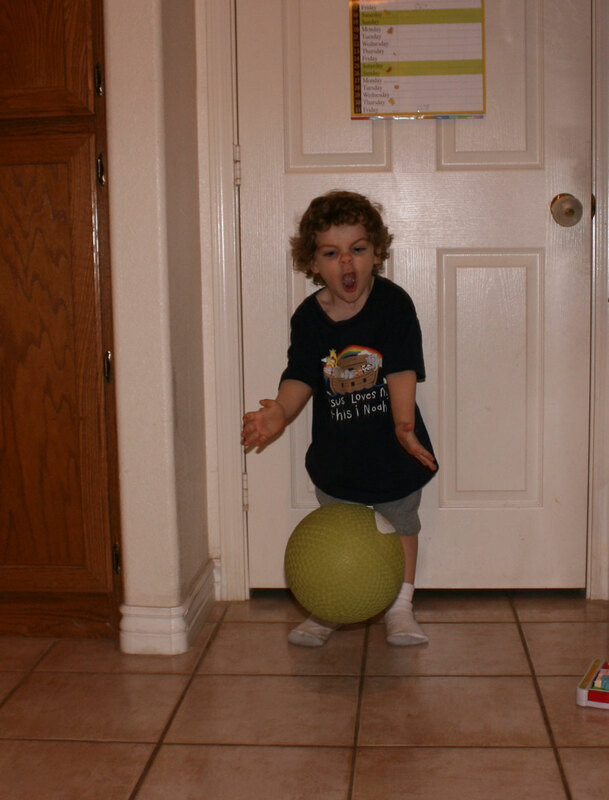 Mark sitting by door in kitchen on October 15th playing ball with Daddy. Today, the shirt Mark is wearing says "Jesus Love Me this I Noah" that Nana gave to him a few months ago. 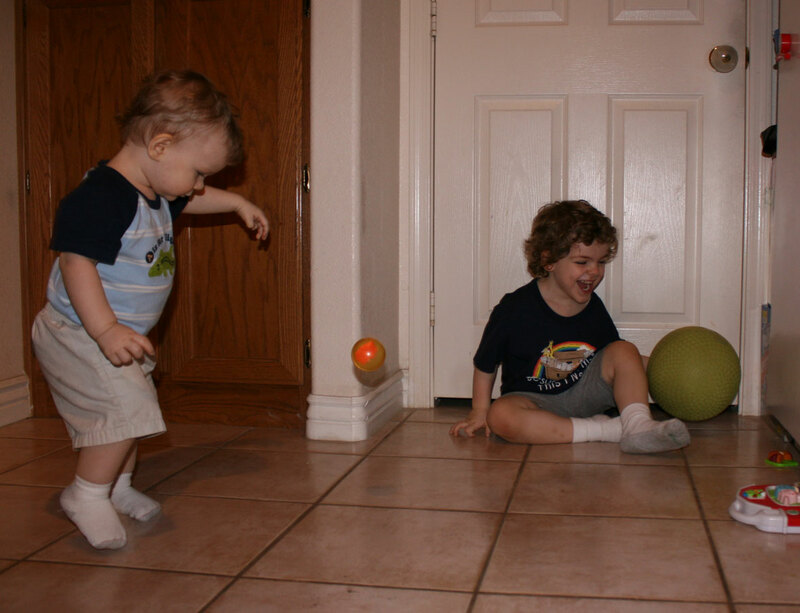 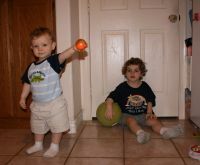 Andrew and Mark, each with a ball by kitchen door on October 15th. Mark with a ball tossed to him by Daddy on October 15th. 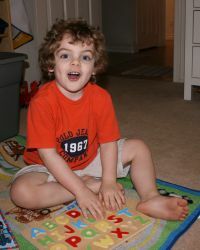 Mark playing with alphabet letters in his room on October 25th. 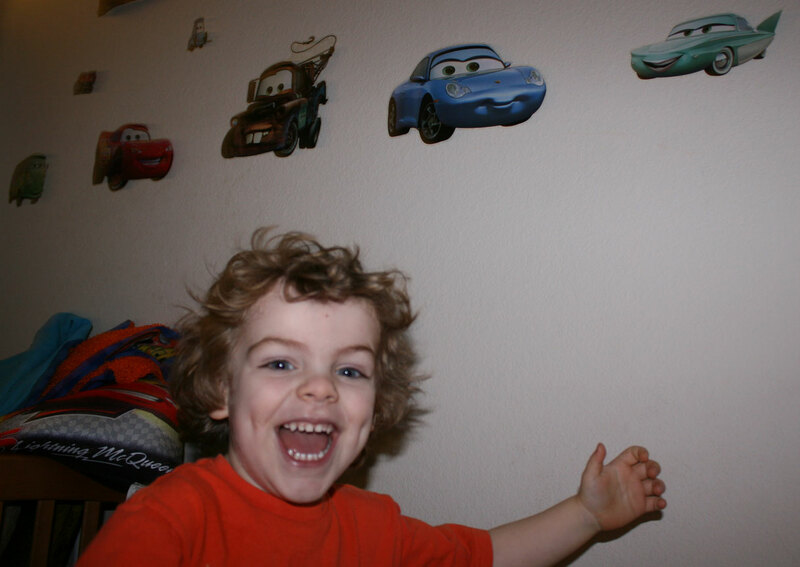 Mark in his room on his bed with Cars from the movie Cars in the background. 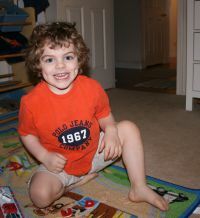 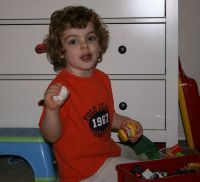 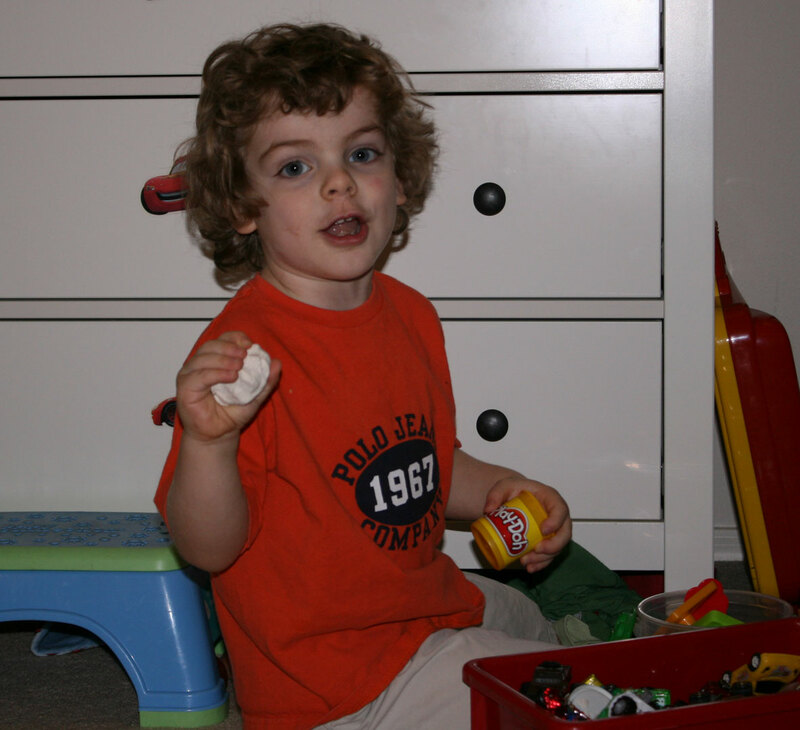 Mark playing in his room with Play-Doh on October 25th. 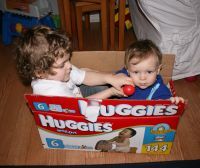 This page was last saved on Friday, December 12th, 2008.